A few days before the first snowflake as I ran past a badger set I knew. It looked the same as it had the week before, no sign of life.Leaves and twigs still covered the entrance. Also badgers usually spring clean and there were no scuffle sign or chucked out old bedding. The badger was still asleep. Closer to home a lot of romantic intentions were definitely on hold! A nearby pond only a few days previously had been a buzz or a croak of activity. Frogs had begun to noisily hang out there. The sound is amazingly loud, like chainsaws! Then all of a sudden, nothing. No frogs, no noise, surprisingly no frogspawn either. They must have sensed the bitter temperatures to come, which can kill the spawn, and have hopped off to hide for a while. 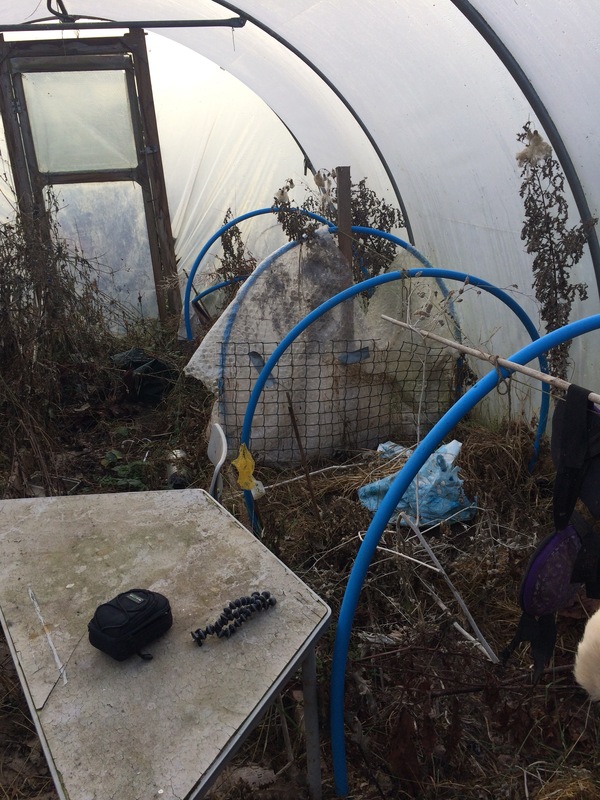 I’m still trying to sort my polytunnel out ready for spring. It seems to be taking forever. I’m just doing a bit at a time so I don’t throw my back out again! I found a huge ants nest in there whilst digging. Ants are a big problem for me in there. They eat crops such as strawberries and sweet corn and when you plant and weed they bite like crazy! Ouch. I’ve tried various gentle organic approaches over the years, but they still seem to like living there. Well I’ve dug up and moved as many as I can now, although they can go miles down, so I might have only scratched the surface. This year I’m hoping to install a new watering system to keep the tunnel from drying out. This might encourage them to move out. I managed to wash one side of the tunnel with a good dose of soapy water , but the temperature plummeted that night and it froze solid. It was really unbelievably beautiful though. I really have no idea what happens in my polytunnel over the winter! It just gets trashed! It looks awful, old plants and rubbish everywhere and you can hardly see out of the plastic. Every year I weed it, clean it out and wash it. However this year I’m taking more drastic action. The tunnel wasn’t overly productive this year and I have an incredibly bad weed problem that I can’t control. 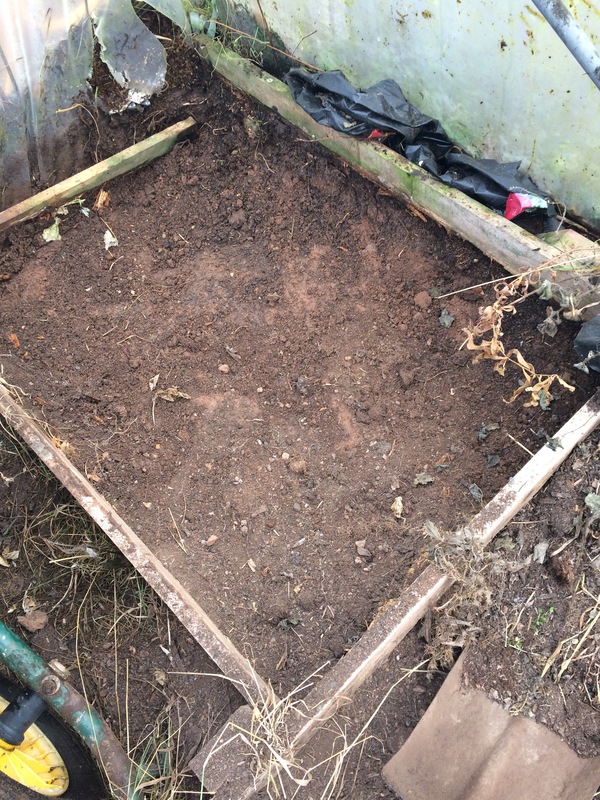 So I’ve decided to dig out all the soil from all the raised beds and start again. Well so far after 3 hours solid digging and at least 15 large wheelbarrows full of earth I’ve done half the tunnel! Yayee! The other half will have to wait a few days until my body has recovered! Tom and Barbara would be proud. ( showing my age here). I pulled the old earth up by my plum tree and the birds had a great time pecking through. Unfortunately they were camera shy. 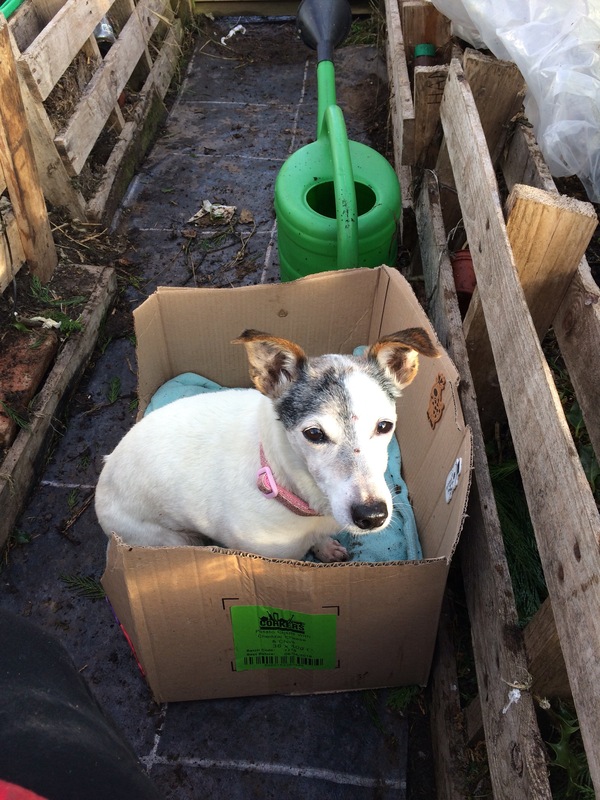 My poor body is aching a bit as earlier in the week the moon had said it was a good time to spread compost over the veg beds, so I did some of that as well. Hopefully this self sufficiency life will keep me fit for free! Spent quite a bit of time this weekend sorting out a new/ old plot. About 13/14 years ago we cleared a part of a field to try and grow fruit and vegetables. Not long after I had baby number 5 and life didn’t go according to plan, just for a change! The plot was neglected and became overgrown and quite a lot of rogue trees grew there. Now that life has moved on we are trying to reclaim this plot for feeding ourselves. 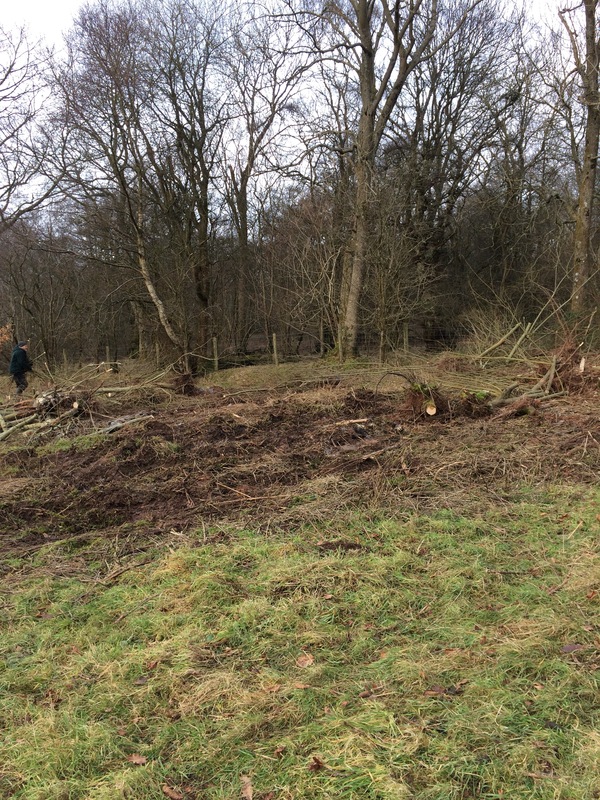 We luckily persuaded a family member with a digger to push over the trees and my husband got busy with a chainsaw. The large logs we kept for future wood burner, small stuff we campfired. The dog, wearing her new Christmas jumper had a great time sniffing round. My now teenage girl also enjoyed the fresh air and kept busy making fruit tea with the singing kettle on the gas ring and preparing vegan chocolate campfire bananas! Which we put on YouTube! Still loads of work to do, but at least we made a start and had family time as well. 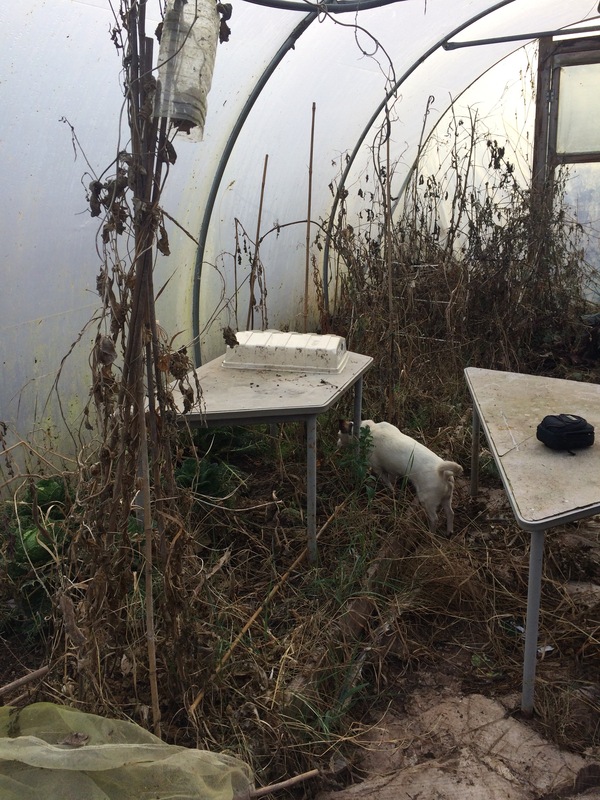 The moon calendar suggested that today was a good day to work in the greenhouse, so I did! I cleared out a lot of bits and bobs that had taken over from making wreaths in early December. 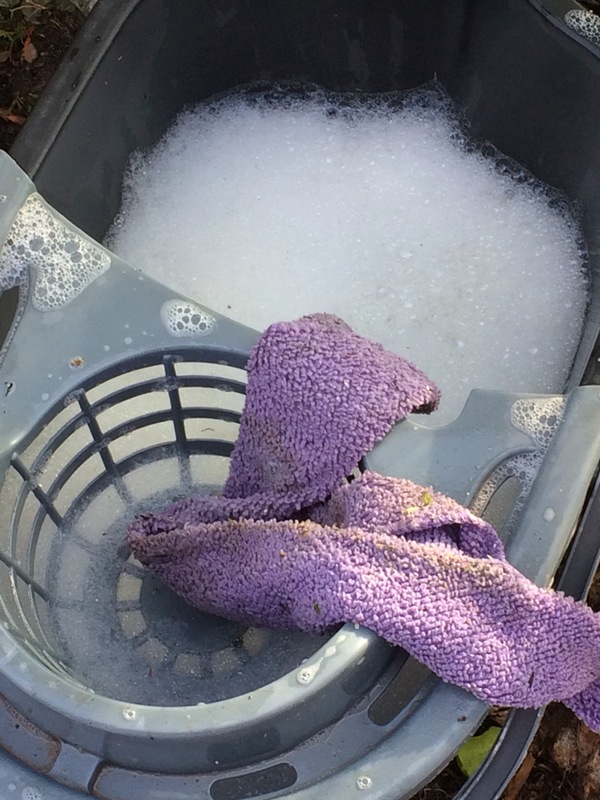 As it was so sunny I also threw a soapy cloth about the windows. Much prefer greenhouse window washing than the house, but it is a bit lower to the ground. 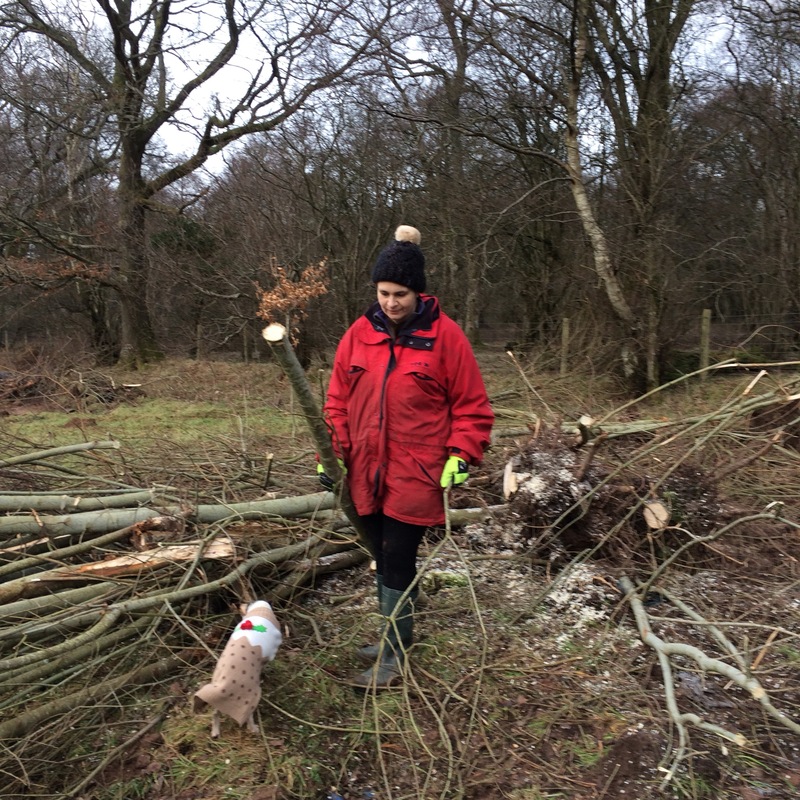 I quite enjoyed it but the dog soon got bored! I planted a pot of garlic in the greenhouse in the autumn ( not moon guided) and it seems to be looking quite happy, hope it appreciates the view now you can see through the glass! So after a strange year in 2017, where I did manage to grow quite a bit, but didn’t manage to document it! I’m trying again. This year I’m going to try and plant in tune with the moon. I did try this method years ago and I do believe it works, I just found it too constricting with the time I had. In theory now I have more time. ( ha ). So far this year I haven’t really been in the garden as I’ve had to reclaim my house after Christmas! However I did attend a local foraging walk a few days ago. Didn’t actually forage anything to eat, but I did bring back some mistletoe. We have unsuccessfully tried to grow this here a few times, but if at first…….and all that. So at the weekend we went up our field and tried to graft it to a couple of wild crab apple trees we have. The moon wasn’t quite right but my husband was available and I don’t like heights! So we squashed some berries in little flaps we cut and then put some first aid tape round some , now we wait. Although we can’t eat mistletoe it might be a handy swap crop. As much as I love my garden I can’t afford to buy as much or whatever I want for it, especially now as I’m not working. Although this means I can realize my dream and spent my time growing things ( hopefully!) it does mean money is tight. Luckily I love a bit of bargain shopping and recycling. Without sounding like a total country bumpkin, I do love the odd trip to the big city! Our nearest very large town/small city is about an hour away (depending on whose driving!) and boasts a Wyevale garden centre. I prefer this one to our close independent centre as it’s loyalty card scheme and vouchers are so much more rewarding. For the last few years I’ve mainly asked for either garden gift vouchers or packets of seeds for Christmas and birthday gifts and my family have obliged. This means I have got a little stockpile of seeds as they do have quite a long shelf life. The garden centre usually has a 3 for 2 scheme on seeds which is great, especially if you group the same price ones together and make several trips to the till to get the best deals. I always make sure I use my loyalty vouchers and any other ones they send me that are sensible. The spend hundreds of pounds and get 50p off ones never see the light of day but money off own brand compost is usually a good deal. I don’t stick to a certain brand of seed either. This year the poundshop are offering three packets of veg seeds for a pound. They are selling out quick, but I managed to get, spring onions, carrots and parsnips, so will be giving them a try. I find Wilkos quite good for garden stuff too. I have one in a nearby market town, about a 35 minute drive away. Their seed trays were only 75p for three and are pretty robust so should last a few seasons. 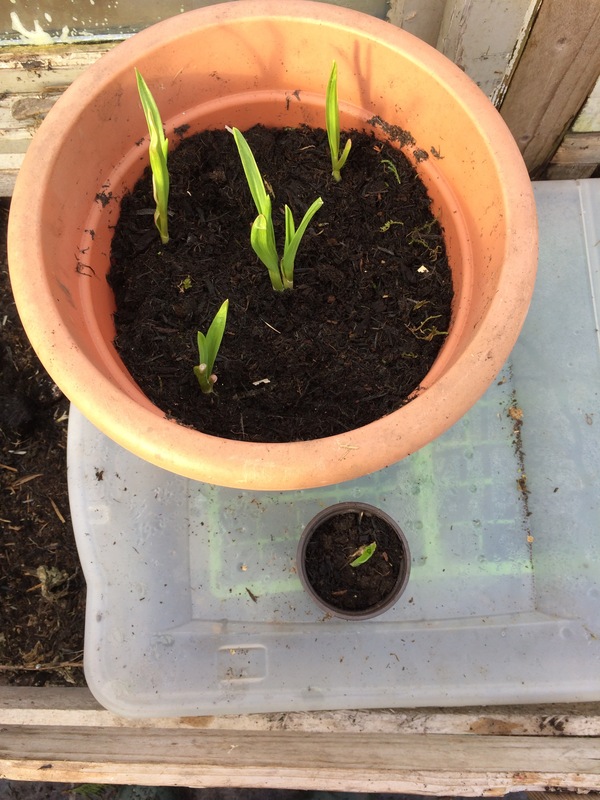 I save all my clear plastic food trays as tops for the trays to make mini greenhouses, and I start my outside onions and garlic off in toilet roll tubes. I also save large pieces of clear plastic and bubble wrap as extra coverings to keep my seeds and plants cosy. My daughter loves ice lollies so I save the sticks to make plant labels – use a permanent marker, pencil washes off! Markets are a good place for a bargain too. I got a couple of large rhubarb plants there recently that are growing really well. Much cheaper and bigger than the ones in little bags at garden centres that always seem to die on me! 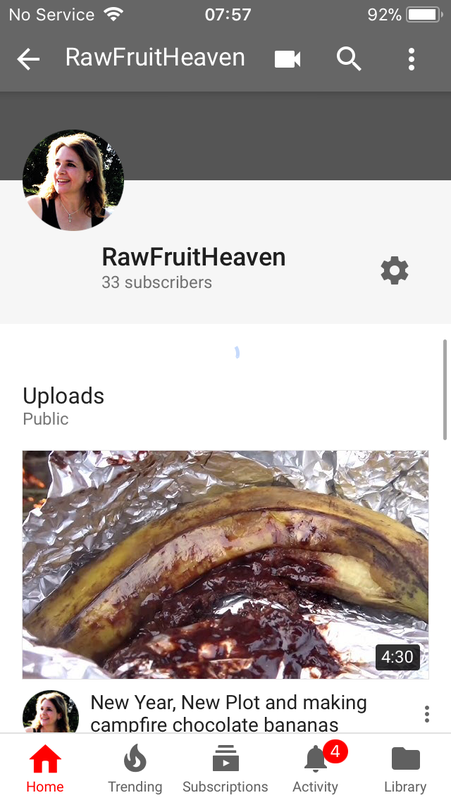 I’m a great one for buying things in end of season sales and keeping them safe till needed, and my biggest motto in life has always been,” Sometimes you have to make do with what you’ve got!” If you’d like to see some of my resent bargains check me out on youtube at, Rawfruitheaven.